September 12 2015, Lexington Kentucky, 3:54pm. Me and my Dad climbed out of our muddy Holden Colorado and ambled over to Seth Quincey's old mossy wooden house. My father knocked his hairy knuckles on Seth's door and he and I waited for an answer. A few minutes later a hunched over old man in a floppy brown leather hat appeared behind the fly screened door. "What ya want?" He questioned us in his scratchy old voice. He opened the nearly broken door and looked at my Dad puzzled. "We're here for the two horses for sale," my father said a little to loudly. "Oh! Come with me then." He grumbled. Seth hobbled over to a run down barn just opposite his house. He opened the creaky stable doors and walked into the darkness. My Dad and I soon followed him in after sharing a nervous look. "Here they are," said Seth. "Don't know why you would want them Ken, there as useless as dirt. The female has a bit of a temper and the male has no heart for racing. I'll give them to you for $5000 each. How about that!?" The two horses were in the worst condition possible. The female was a Cremello thoroughbred and the male was a chestnut. Both of their manes and tails had been matted so much that I looked as if it had started to matte their coats as well. Their coats looked as if they hadn't brushed or clipped in years. They also smelt of their own manure. Ticks covered their muddy body's and their hooves were a whole other story. My face showed only one emotion: horror. "That's perfect!" My father said a little too embarrassed to negotiate with him. "I'll take them now if that's okay with you?" "Be my pleasure." Seth smiled for once. "I don't have room for useless pieces of meat to sit around and do nothing." I stood there with my hands in my pocket looking at the cobwebbed roof. I had been so bored. At the time I had no interests in horses but that was all about to change. Oh my word those poor babies!! sorry i put 2 of the same things. hi, guys sorry it took so long to post this! hope you enjoy. BTW, in my fiction story palomino, Thoroughbreds are considered bad luck in racing. Dad and me watched as Seth entered the thoroughbred mares dirty stall. Seth grabbed her halter. He walked her out of her stall grubby box and out into the cobblestoned aisle. 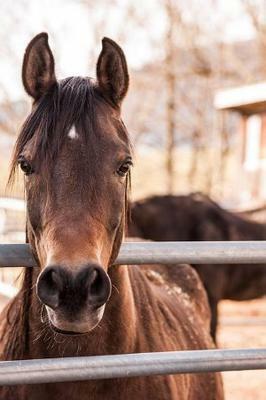 Her owner connected a lead shank to her brown tattered halter and out into the fresh, autumn, Kentucky afternoon air. My Dad, Kenneth followed. I was still staring at the roof of the barn, when all of a sudden I heard an unfamiliar voice yell. I snapped out of my daze and realized I was all alone. The yell had been from one of Seth’s stable boys who appeared at the barn entrance a few minutes later. He ferociously stomped up some stairs, which looked as if they lead up to the foaling mans apartment. The man reappeared a little later carrying a gun. "Stupid Horse!" he screamed in his thick American accent "should have shot it at birth!" I ran outside to see what was up. Complete horror crossed my face as I saw the grumpy stable boy holding a gun to the young filly’s head. "No!" I screamed, running towards the man who was now focusing on me. "Don’t kill her!" I replied, yanking the loaded gun from the older man’s hands. "She’s a palomino! She can’t race!" he screamed at me. "Palominos are bad luck in racing. She’s too nutty to be a racehorse anyway! No one will buy her." Answered the man. "I will," I said bravely.